In an effort to inspire young individuals to take action and do something for their community,Lenovo, one of the world’s biggest technology companies, has once again teamed up with the Ten Accomplished Youth Organizations (TAYO) Awards Foundation to serve as the latter’s exclusive Information Technology (I.T.) partner for this year’s TAYO Awards. The TAYO Awards is the country’s premier award giving body that recognizes and supports the outstanding contributions of youth organizations in the country. As the official I.T. partner of the TAYO Awards since 2011, Lenovo will continue to provide reliable computing devices to achieve a paperless search throughout the five-phase selection process: (1) documentation check; (2) category paper screening; (3) field validation; (4) TAYO documentary video production; and (5) national final judging. “We are happy to partner with the TAYO Awards for four consecutive years now. It is always rewarding to see the youth envisioning a better world, and never standing in the sidelines to wait for something to happen, but instead going ahead and making their vision a reality,” said Michael Ngan, Country General Manager, Lenovo Philippines. “At Lenovo, we never stand still. We continuously innovate to provide relevant technology and solutions that enable individuals to move forward and achieve their goals. Lenovo is very confident about its long-term success as a global technology leader.” Ngan added. As in previous years, Lenovo will choose from the 20 finalists to award the “Lenovo Most Innovative Project”, a special citation given to the organization with the most meaningful project that has helped address pressing issues of today’s youth including education disparity, illiteracy, and poverty through the innovative use of technology. The TAYO Awardees will also each receive Php 50,000 cash grant from the TAYO presentor and a trophy sculpted by Toym de Leon Imao. “We would like to thank Lenovo Philippines for believing in the TAYO Awards’ vision of empowering the youth. Lenovo’s continued support for the Search brings inspiration to many youth groups we’re aiming to reach. For the past 12 years, we have proven that spirit of People Power is not unique to the Filipino youth. This year, we’re very happy that Lenovo joins us again in envisioning a transformed nation where youth groups venture into impossible and unconventional solutions; where youth groups learn to explore and innovate; where youth groups share the passion of nation building; and, where youth groups don’t waste any second in making a difference.” said Aika Robredo, President of TAYO Awards Foundation. Entries will be competing with other organizations listed in the same category. 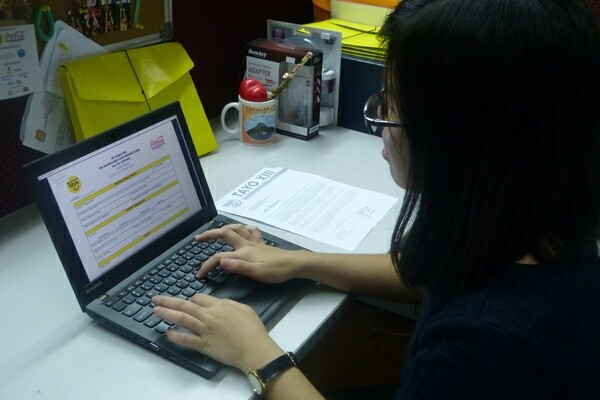 The four best entries in each category will be invited to the TAYO week as finalists. Another vital component introduced this year is the TAYO Videos, wherein documentary videos will feature the top 20 finalists, to be published on the official TAYO website. These videos are subject to public voting where people can vote for their chosen TAYO story for the TAYO People’s Choice Award. By sharing their story through video, each finalist can inform and inspire their fellow youth. Open to all Filipino youth groups, organizations, clubs and societies with at least five members who are 30 years old and below, the TAYO Awards chooses the ten best groups whose projects had the most impact on the community. The TAYO Awards 13 will be accepting online submission of entries until September 4, 2015. The TAYO Awards was co-founded by Senator Bam Aquino and former Senator Francis Pangilinan, with the TAYO Awards Foundation and the National Youth Commission (NYC) in 2002.